It’s been a while since I talked about coffee, perhaps because I’m mostly living with decaf right now which feels a little less exciting than fully caffeinated! But that’s no reason to avoid discussing my favourite frothy drinks. So, what am I loving just now? Decaf cappuccinos mostly because, let’s face it, they look so pretty. The hint of chocolate around the lips is a sweet reminder of how good life can be, even when decaf is your only option. My usual coffee of choice is a flat white though, and I’m still ordering the decaf version now and then because I’m not a huge fan the milky, overly frothy latte. But where’s good? Here’s my updated list of top coffee shops in Dundee for 2018. The low down: Hard Grind is becoming a bit of an institution. Founded by power-couple Richard and Amanda Davies, the original barber shop now has a coffee shop extension (The Daily Grind), taking up a huge space on trendy Exchange Street. The vibe: Barber-shop cool meets LA vibes. The rustic wooden tables and benches, a subway-tiled counter, leafy plants dotted here and there, and great music in an open space filled with Abandonship Apparel – it’s beyond hip but super, super friendly. What to order: An iced coffee – refreshing in the heatwave without compromising on your caffeine fix. The low down: The Flame Tree serves the best, smoothest coffee in my opinion. Located a few doors up from Hard Grind, it has a very different atmosphere – more homely, it’s somewhere you go with your best friend when you want a really good gossip over a great cup of coffee. They actually have a second, smaller shop on the Perth Road too which opened just a few months ago. The Flame Tree cafes are run by Scottish-Aussie couple Scott and Jackie who definitely know good – actually, amazing – coffee. The vibe: Australian cafe culture featuring healthy food and a laid back attitude. What to order: A flat white and a rainbow bagel, not only for the sake of the ‘gram. The low down: Established by two under-25s late last year, The White Goose has quickly become a popular eaterie in Dundee. Lauren was studying at the University of Dundee and working in hospitality while partner Cameron was a chef before they opened The White Goose. The cafe is contemporary and cool without being pretentious, with lovely staff who are happy to help. Look out for The Giddy Goose opening in August. The vibe: London style by day, Mediterranean feels by night. What to order: Anything on the breakfast menu. From stacked pancakes and bright smoothie bowls to simple eggs, you can’t go wrong. Or sample a delicious cocktail. Or two. 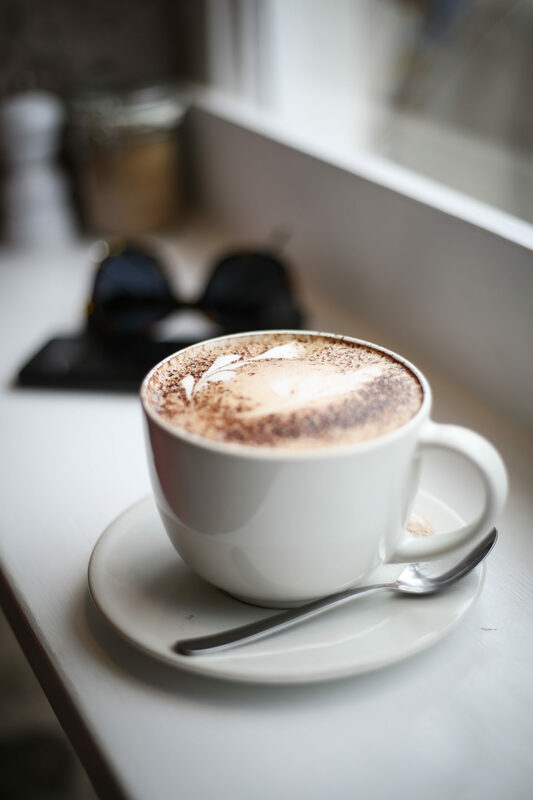 What’s your favourite coffee and where do you go for the perfect blend?